The Polar? F11? is a revolutionary heart rate monitor that creates a workout program to tell you how much, how hard and how long to exercise to reach your goals. The Keeps U Fit? - Workout Program guides you to your personal goals. OwnIndex?, OwnCal?, and OwnZone? allow you to customize your workouts. The Coded feature eliminates interference from other heart rate monitors. The Polar F11 Heart Rate Monitor is the world's only heart rate monitor that creates a workout program to tell you how much, how hard and how long to exercise to reach your goals. This powerful wrist monitor provides a highly accurate gauge for getting the most from your exercise sessions. The Polar Keeps U Fit Workout Program gives you personal guidance--how often, how hard, and how long you need to exercise to reach your personal fitness goals. It also includes a free-of-charge online component. The wristwatch-like monitor features a large display that includes 12/24-hour time of day, alarm, and stopwatch. The transmitter includes the Wearlink Coded function, which eliminates interference from other heart rate monitors. The transmitter's electrodes, which pick up the heart signals, are integrated right into the strap for added flexibility and comfort. I have had this HRM for almost 2 years. I am a huge fan of training with heart rate. I am a spinning instructor and former semi pro triathelete. I have used a few different brands throughout the years, I always find my way back to Polar for a few different reasons that hopefully I can outline in this review. First before I start this review, I must say - I also own the new Polar FT80 and if you can afford the extra few bucks jump up and get the new one. Much better. I decided to write this review after I had to retire the F11. So this is a tribute to my best bud for the past 2 years. keeps you fit program. Pretty cool, when I first looked at the feature I thought i would never use it due to the fact that I am sort of experienced. But it just makes things so much easier, and actually gives you pretty good guidance for cardio. I love the chest strap. Very comfy. I also bought an Adidas shirt that has the strap built into it and use just the transmitter with the shirt. LOVE LOVE LOVE IT. I love Polar. Yes, they have always treated me great. Their customer service and technical support are in my opinion the best in this industry. They have kept me a fan. I would buy the F11 again, my best friend will now sit in my drawer as a back up. Hope the new FT80 treats me like the F11 did! I lost 60 pounds by the way!!! I've owned this product for over two years. The functionality is nice but reliability is a major issue. I really like the fitness program. You can set your weekly goals and at the end of the week if you have met your goals you get a trophee displayed on the watche's "home page" (the default time display). This is a nice motivator. When I exercise I want to see in one screen the %beat rate (%BPM), the time (clock) and the calories spent so far and you do have this option, although you do need to fiddle with the watch using a rather non-intuitive combination of button punching. I have never used the computer interface so I cannot comment about this. 1. The watch looks very cheap. For this price I would have expected a watch I can use outside of the gym and this is not the case. 2. The strap's inside is made out of fabric that you need to profusely wet to get it to register your heart rate. The major issue here is that at the end of the workout you have some wet fabric that will end up stinking of sweat, and of mold if you don't dry it up in open air. Perhaps you can wash it (I have never tried) but it's a real nuisance. I've owned watches from other brands before and they were all-rubber and had no problems registering the BPM. I am now looking for a new watch as the reliabiilty problem is a showstopper for me. One request from the maker: Add an "Auto-on" feature where the watch turns on the exercise mode automatically when it registers a BPM above, say, 100 or so. I've had cases where I found out after a few minutes I have forgotten to turn it on. After less than 1 year, the first F11 I bought had the display freeze up. To Polar's credit, they replaced it under warranty. The second F11 was unable to pick up the signals from the WearLink transmitter. I replaced the battery, but it still didn't work! Had to buy a T31 coded tranmitter (another $50), which then worked. Now my second F11's display has frozen! I have a Polar S210 for cycling that was purchased in 2000 that still works as well as the day I bought it-replaced the battery twice. Also have my first very basic Polar HRM purchased in 1993, and it still works, I know the company puts out quality products, but in this case I fell for the marketing hype and the added features (most of which I don't use). I've been using this for a few weeks. The accuracy of the heart rate and calorie measurements is fabulous. Also, I've never had a problem getting a reading at all. This product just plain works. The data feature it comes with isn't terribly useful, though. For instance, the only data that it is capable of saving from a workout is time of workout, max heart rate, calories burned, and average heart rate. It does not save your heart rate at every moment during the workout then graph it out. The polar F11 is great! The instructions to configure/calibrate it are a little sketchy to get you started; but it was easily configured once I figured out the button navigation. Changed the way I work out. The watch performs as advertised, no problems. Told me I need to completely change the way I work out - this was I good thing as I had plateaued. In the past I have used several Polar Heart Rate Monitors (HRMs). However, it has been almost 8 years since I last used one and have recently re-started my running program after 8 years away from it. I am always concerned about beginning a challenging sports regemine and prefer to do it in a heart-friendly way: HRMs are the key for me. 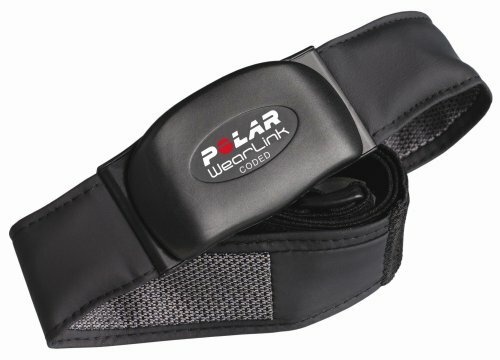 Looking at all of the options from Polar (I have always had great experiences with Polar products, unlike a few others which have been sort of hit-n-miss in terms of quality and reliability). I didn't want to spend a lot of money; but wanted to be sure it had a logging capability. I chose the F11 because it seemed to be the best combination of relatively low cost with good features. I have been using it now for almost 4 weeks and have found it to be well worth every penny. The logging capabilitly has proven to be just fine (I had used one, in the past, that logged heart rate every minute or so which provided a great history of how I handled different terrain; but the cost of such monitors was much more than I wanted to spend at this point) and it is very easy to use. The only challenge that I had was trying to figure out how to upload the workouts to the Polar Web sites fitness tracking web site. The challenge was figuring out that there is a "SEND" option on the "FILES" setting...but you have to scroll down to get to it. It wasn't in the Polar user's manual at all...in fact, my experience, is that the User's Guide is pretty poor...just good enough to get started. I have figured out most of it on my own; but I'm a bit of a computer geek so it wasn't that challenging...for someone who is not so Info Technology literate, I think it would be hard (or not possible) to figure out. It took a lot of research on the Polar Web site to finally find what was needed. I find the Polar Website to be adequate for logging purposes. It has a lot of features that look pretty nice at first; but I think it isn't really all that powerful. I like the logging; but the rest (the "partners", the "workouts", etc.) just don't measure up and are more fluff (in my opinion) than of real value. As I said, however, I do like the basic logging capability. There is also some good "Calculators" that you can use and that I like pretty well (e.g., for figuring out Pace from Time and Distance). All could be done with a simple hand calculator; but I like having them available on-line while at their web site. Overall, I really like this HRM. It does what I need; it has nice extra features over the truly basic HRMs and it lives up, in my estimation, to the excellent experiences I have always had with Polar HRMs. 1) Easy to use - I turned it on, took less than 5 minutes to set it up, and started using it. It is extremely easy to navigate. 2) Features - The programs are easy to set up and follow. The heart rate section shows you the time you've worked out in each of your heart rate zones and you can set alarms to warn you when your out of the zones. You can also download your training sessions to their online program. 3) Programs actually help - I took the fitness test, created a program and have been following it for about 3 months and have lost 25 pounds. Working in the heart zones, I decreased my 5k time from 35 to 23 minutes and my 10k time from 75 to 52 minutes. 3) Online resources - I've downloaded my workouts on to the online training site and can easily see my improvement over time as well as track my running mileage. I was using the Runner's World site before but like this one better. 4) Comfort - The chest strap is very comfortable. I tried the Garmin 305 band and another Polar one but this band was by far the most comfortable. The watch is no bigger than most other watches. 5) Compatability - I do most of my exercises on the treadmills at the gym and the watch transmitter is compatable with all the equipment except one type of treadmill. As long as the equipment is Polar compatable, you can see your heart rate on the machine as well as the watch. The one thing that I wish was different is the ability to download training programs from the website to the watch. The online tracker allows you to create more customized programs but unless you manually recreate the program on your watch, you can't get the online programs onto it.